Topic: Why would someone place a drawing of Sephiroth's tree in the ceiling of his office? It might be just a thing of perspective, Sakura's young and not everyone fully knows what's really the truth (as in if he was inside unit-01 he has all the fault and stuff), on the other side Mari knows what's really happening, knows that Shinji was merely being manipulated. Topic: Does Shinji ever get the truth about Rei? Re: Does Shinji ever get the truth about Rei? I don't remember clearly if ritsuko does or doesn't cleared out that Rei's a clone of yui, but it was eventually revealed to him (Shinji) that there are multiple reis, but if im not wrong in 3.33 fuyutsuki clears all the stuff about Rei being a clone of yui and the existence of multiple reis as well. They probably are CG or miniatures after all the live action shots were supposed to take place in a reality were Shinji didn't existed in 2015-16, i mean of course that doesn't look like todays Japan but in those days you could only think on what the future was going to look like. Topic: Evangelion’s distinctive typography will be sold on CD-ROM in the Evangelion Store. Topic: End of the manga "Sadamoto's manga"
Re: End of the manga "Sadamoto's manga"
Topic: How does the Lance Of Longinus work exactly? Re: How does the Lance Of Longinus work exactly? Topic: What are your Evangelion 3.0+1.0 promotion ideas? 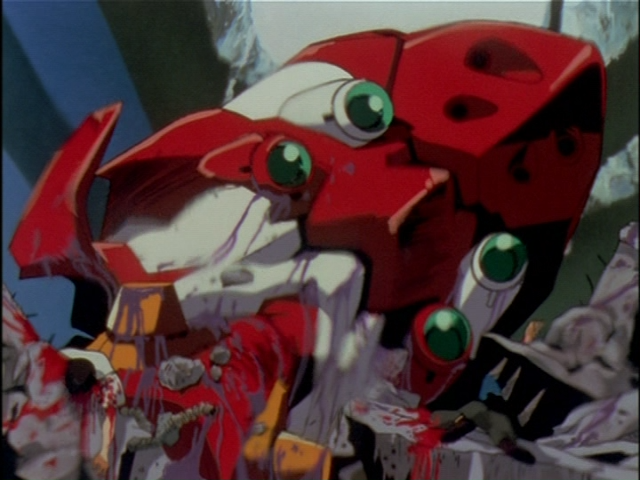 Topic: Who or what is the shadow seen at the end of Eva 2.22? Topic: Who do you consider the franchise mascot? Re: Who do you consider the franchise mascot? Hm, i guess as for franchise mascot goes it's unit-01, i mean just by seeing her you already know that it's Eva related.